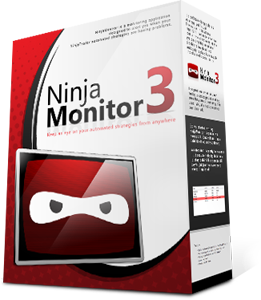 NinjaMonitor watches your automated strategies so you don't have to. Get alerts if your strategy crashed, or if you have a data problem. We made NinjaMonitor to answer a very specific question : "Is everything running ?" As experienced professional automated traders running our systems 24hrs a day, 5 days a week, we needed to ensure uptime and strategy efficiency. NinjaMonitor allows us to trade rest assured that everything is running okay and to alert us if anything is not functioning as expected. Here are some examples of things that we came across with our automated systems and how NinjaMonitor has made us aware of the issues that occured. Effects: Your orders are kept broker-side; but without data, your strategy won't run and update those orders. Effects: Your orders are kept broker-side; but neither NinjaTrader or NinjaMonitor is running . Effects: NinjaTrader stops running the strategy. It doesn't say it's disabled.